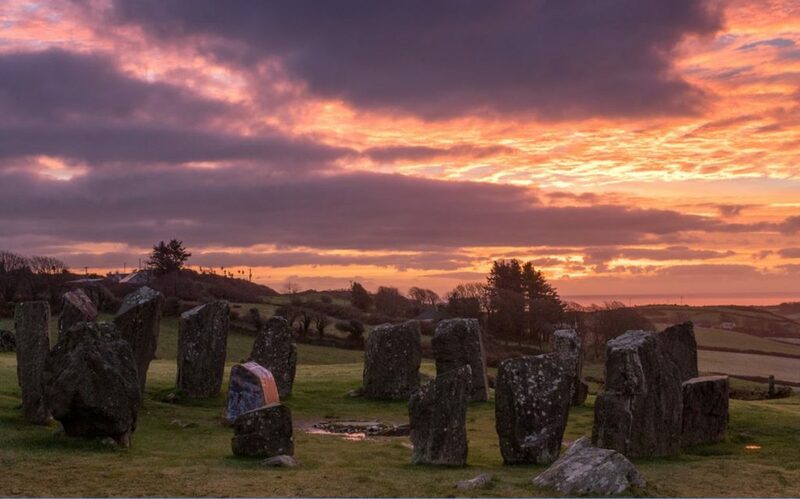 In an opening blog for Silent Earth here, Dr Terence Meaden began by explaining his discoveries of the visual happenings that recur annually at the ancient agricultural festival dates at Drombeg Stone Circle. First, were the intriguing spectacles that return biannually at the spring and autumn quarter dates at what many people call the equinoxes? Beltane and Lughnasadh were introduced, as well. Later blogs will provide photographic evidence of what happens on the other major festival occasions, notably at the solstices and at Samhain and Imbolc. 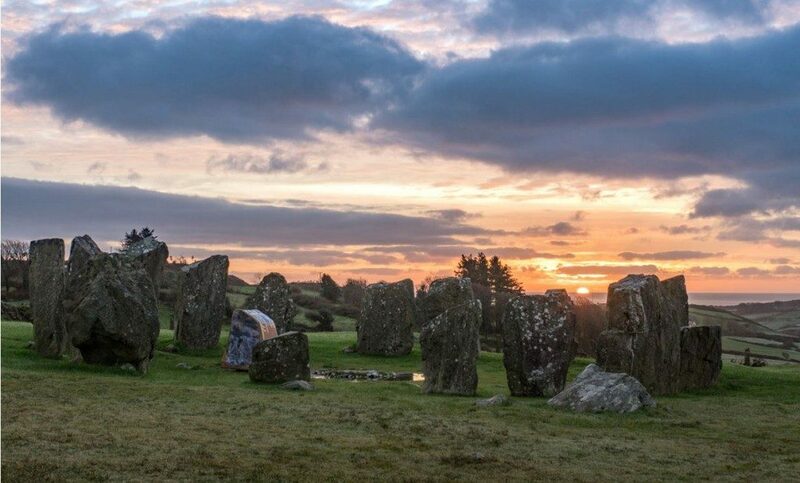 Below is an ode in three stanzas written by Dr Meaden about the beauty and meaning of such happenings when considered in the context of a fertility religion, such as may be inferred for the Megalithic Age of Britain and Ireland if, for example, they involved an Earth Mother and a Sky Father. On portentous dates of the year at sunrise, a male-symbolic stone in the east casts a phallic shadow onto a waiting female-symbolic stone. Representing sexual union between divinities, known as the ‘hieros gamos’, or the Marriage of the Gods, it is a touching spectacle that anyone can watch on the right dates when the eastern horizon is clear. Photographs taken on 17 December 2016 by Mr Nick Mitchell and used with permission. it came to be abandoned then. the reasons why — yet love them so? like eerie spirits gliding by. with all the joy that daylight brings. inside the circle’s sacred zone. 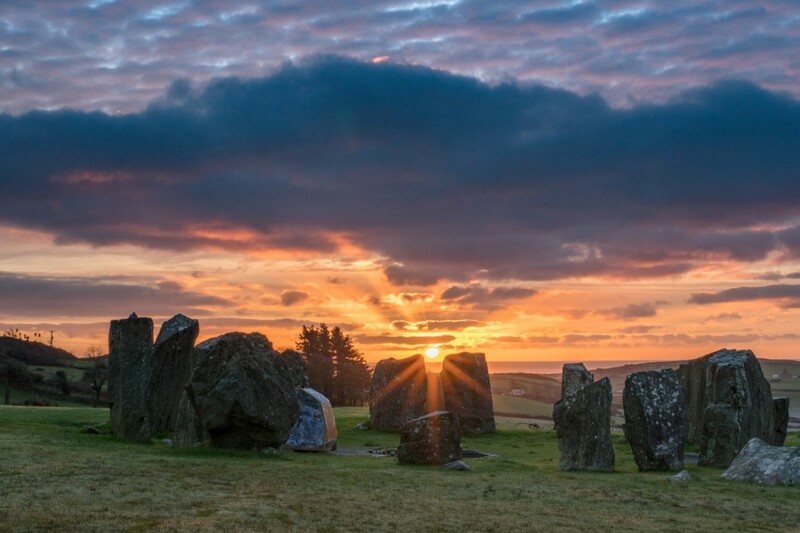 it’s solstice morning, and we’re rejoicing. the shifting rays most warmly welcome. the Sky with Earth thro’ loving light. for lush fertility by vivid tropes. they do not last, it must be so. and bid farewell without a fuss. … we must be patient until next year.